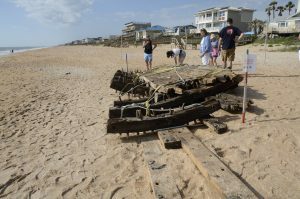 At the end of March this year (2018) a big section of an old shipwreck was washed ashore on Ponte Vedra Beach. 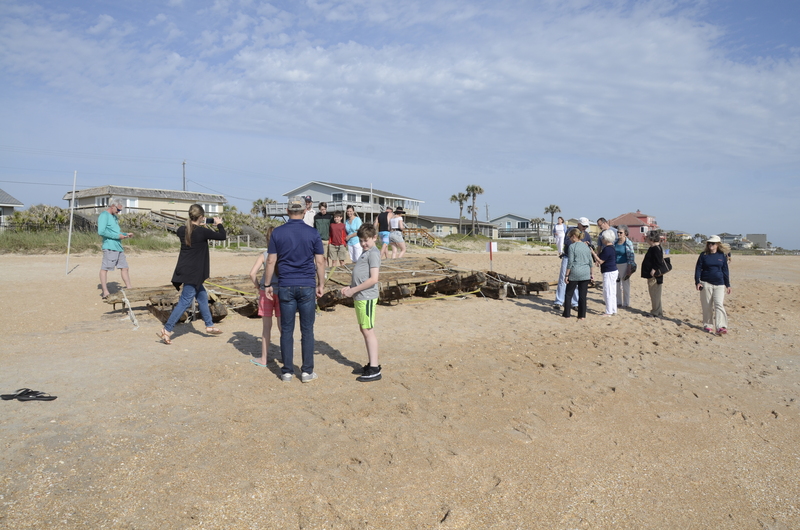 It has been an attraction for both everyday beach walkers and archaeologists. When I went looking there were many others and, on the way back, we met a lot of people who asked if we had seen the ship and where it was. 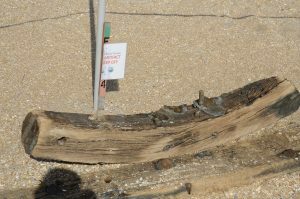 There are plans to bring the section to a better place since now it is deteriorating as the wood gets dry. According to the local paper there are markings that have already disappeared. There had been some Roman numerals etched into the wood frames and other marks most likely made during construction that have started to fade away. The researchers think that it had been, for those days, a pretty big ship in the 100- t0 150- foot range. They also think it was built in the south-eastern USA. Since there are some marks of band saw and circular saw, and due to size of frames and the deterioration, the date could be somewhere around mid-19th century. (Band and circular saws were steam driven and not much used until 1830. 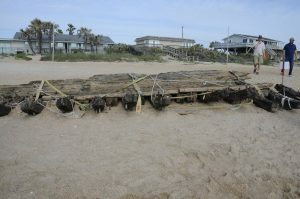 The ship was built with both soft and hard wood, and the way it was used indicates a smaller shipyard in the South. 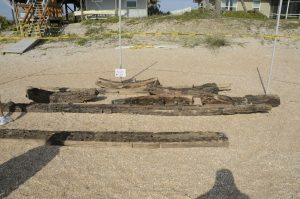 Other scientists agree this mix of wood types indicates a ship built in the Southeast and think the softwood might be longleaf pine, but they are analyzing samples to find out for sure. 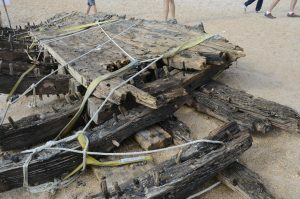 The side of the ship contained according to a newspaper article both soft and hard wood. 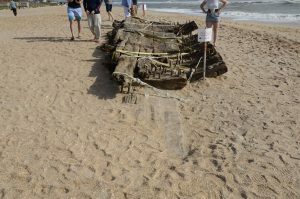 Many were interested to see the ship. .. I’m not even using WIFI, just 3G .. Anyways, awesome blog!